To protect Hawaiian sea turtles through education, public awareness and conservation, all in the Spirit of Aloha. Malama na Honu (Protect the Turtles) is a tax-exempt non profit entity that was created in 2007 to become the successor to the “Show Turtles Aloha” campaign originated by the National Oceanic and Atmospheric Administration’s Marine Turtle Research Program in 2005. Our organization is made up of over 95 dedicated and knowledgeable volunteer “Honu Guardians” who are on the beach every day of the year to prevent intentional and inadvertent harassment of the Hawaiian Green Sea Turtles as they bask peacefully on the beach and to provide educational outreach to the public by imparting facts about the turtles, explaining their behaviors and creating an awareness of the ongoing need to protect this “threatened” species. 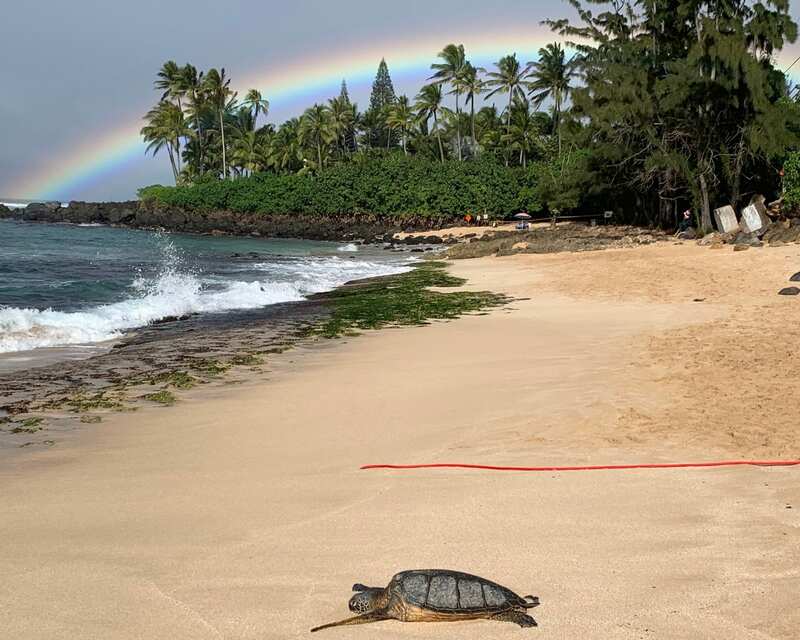 Persons interested in helping the Honu at Laniakea may do so through donations, symbolic Honu adoptions or by volunteering their time at the beach.